I absolutely love breakfast. In fact, I often eat breakfast foods for lunch and/or dinner...or even for a snack! 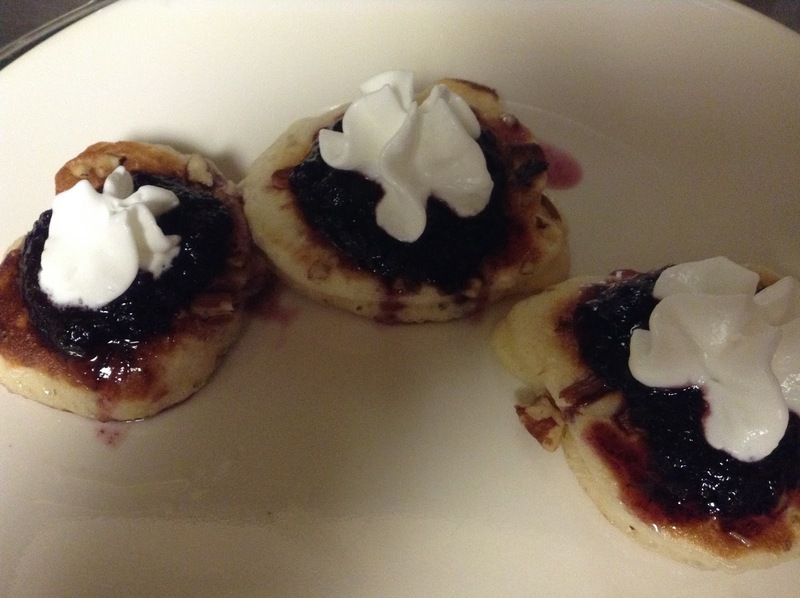 When I found a recipe for thick, fluffy pancakes recently, I knew it was something I had to try. 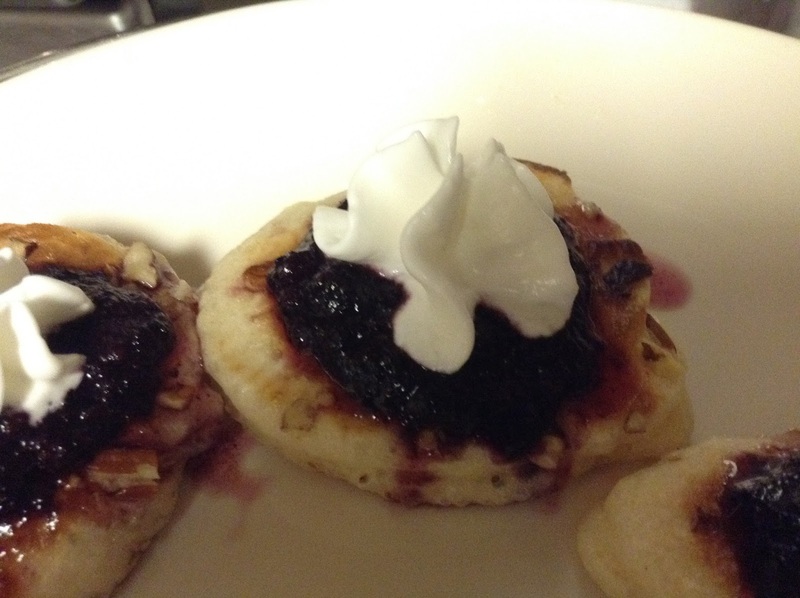 Not much can beat a hot puffy pancake topped with blueberry syrup. And when you can make these pancakes and syrup at home, it's even better! 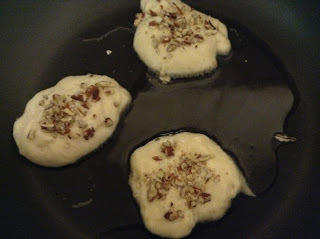 Let's start out with the pancakes. This is actually a Russian recipe, and the traditional name is Oladi. I made mine with crushed pecans, but you can add just about any kind of fruit, nuts, or even chocolate chips if you'd like. 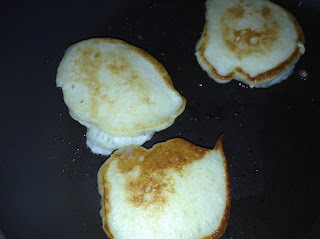 Before you decide to hop up and make these for breakfast this morning, please note that you do have to let the batter rise twice, for about half an hour each time. The wait is well worth it, but don't plan on making these if you only 20 minutes! 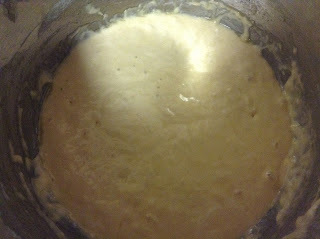 Stir yeast, flour and milk in a large bowl. Cover bowl and let rise for 30-45 minutes. To speed up the process heat your oven to 200, turn it off, and then place your batter in the oven. If you let it rise on the counter you'll need to give it the extra 15 minutes. 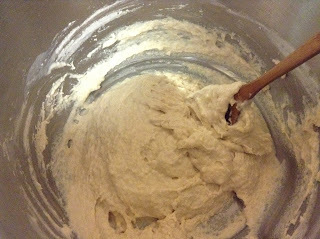 Once your dough has doubled, stir in egg, sugar, salt, oil and nuts (or chips, fruit, etc). Once again, cover and let rise for 30 minutes. Heat 2-3 tablespoons of oil in a frying pan. To cook the pancakes, dip a tablespoon in a dish of cold water, and scoop out batter. 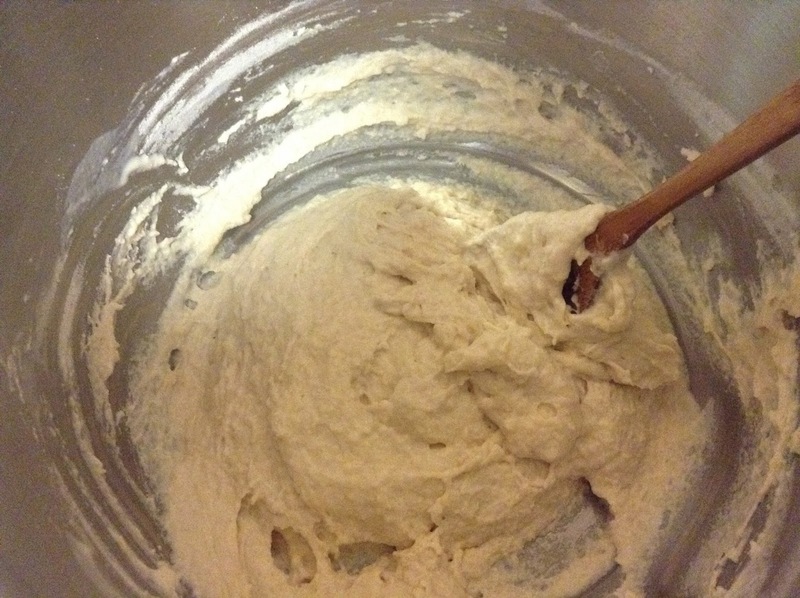 Do this very gently so the dough does not deflate! Cook until golden, flip and repeat. You may have to drain on paper towels before serving. I top mine with fresh blueberry syrup, but you can also use any other berry, syrup, fresh fruit, or jam. For a quick and easy syrup recipe, simply puree fresh or thawed frozen berries with the desired amount of sweetener (sugar or a sugar substitute). Pour over the top of hot Oladi and you have a delicious breakfast just waiting for you to dive in!